Helsinki Roosters has signed Matthew Daltrey to strengthen the offensive line. 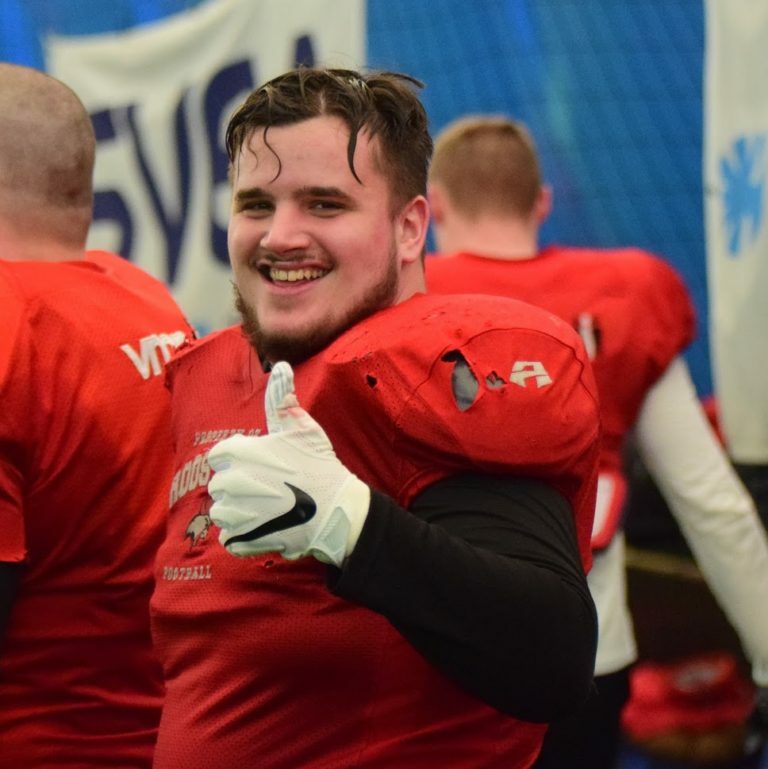 Roosters head coach and offensive coordinator Mikko Koikkalainen sees him a very good fit for the Roosters offensive line coached by Daniel Stanzel. – Matthew will help our OL multiple ways. He can play different spots and as we learned last season, that is very important. He is athletic and can move, so he will fit our system well. I love his energy and enthusiastic attitude. Daniel will have fun coaching him. Daniel Stanzel gives credit of finding the rough diamond to defensive line coach Victor Sarvi and can’t wait to get the polishing started. – Matthew has a motor that stood out on film. I cannot take credit of finding this diamond in the rough as our D-Line coach Victor was the person who pointed him out to me. Matthew is still quite young and played GLF 2 last year. Within the first practices you can see the strength and power in his blocking. However we need to get him in football shape quickly and his footwork right as the first game is quickly approaching. – So I grew up in a small village just outside Inverness in the Highlands of Scotland. During my youth, like most young boys where I’m from, I was mostly involved in Rugby and solo sports such as Boxing and Judo. However, my older brother got me into watching the NFL and this sparked my interest in the hard hitting world of American Football. – When I was 18 I started studying at the University of Leicester. On my first day on campus I was approached by the Universities American football team (the Leicester Longhorns) about 5 separate times so I decided I should attend and since then I have never looked back. After a poor first year in which the team came bottom in the table and I suffered a fracture to my leg, I was motivated to come back stronger and so in my second season our team went on to win our decision and get promoted to the next division which was the first time in team history. 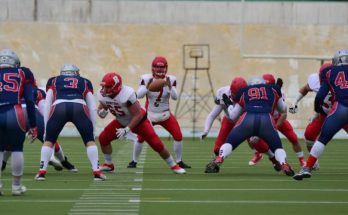 – In my third season I was nominated as offensive captain and would dominate on both sides of the ball for the entire season. 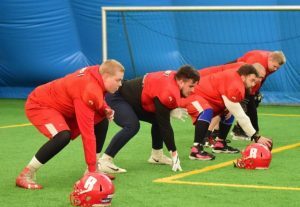 It was this season which earned me a spot on a team in the GFL2 called the Giessen Golden Dragons. 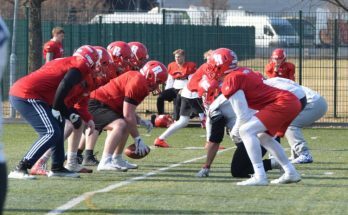 I learned a hell of a lot playing in Germany mostly due to the fact that I went against the team’s Div 1 defensive tackle import for every rep in every practice session, but also from the excellent coaching I received from the team’s coaches. – Why wouldn’t I join the Roosters! At first I was incredibly impressed with the record and pedigree that the Roosters have as they have continually dominated Finnish football, but the more I looked into the team and the more I learned I was so impressed with how professional the team was. Which all culminated in my visit to the February training camp where I was blown away not only by the team’s professionalism but also by how kind and welcoming the team was to me on this visit! I just knew the Roosters were the team for me! 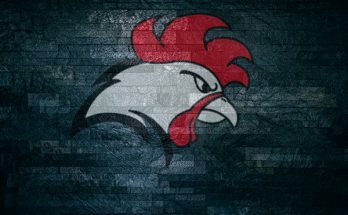 – My expectations for the upcoming season is for the Roosters to keep being the dominant powerhouse that they have always been, and I will do my best to ensure that it happens! – My message for the Roosters fans is that I can’t wait to meet you all at the first home game and I hope you are as happy to have me a part of the Roosters as I am! Welcome to Finland and Helsinki Roosters Matthew!